Endgame ground tank with an area of effect stun for initiation and good overall damage. Works best with shortrange weapons because the Infernal Robot lands right next to the opponent after using his stun. This tank also excels in siege scenarios or when attacking control points. A chaos meteor falls on the target area. causing damage and stunning units in the target area. Upon impact, the robot is teleported to the target area. 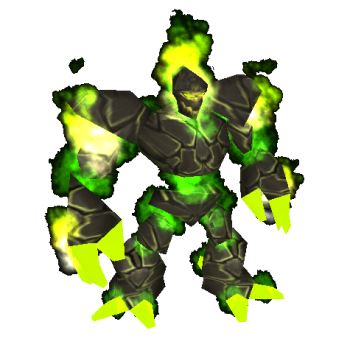 Causes a chaos shockwave around the Infernal Robot, which deals damage to nearby enemy units. When killing an enemy, there is a chance of summoning a Chaos Servant. Calls 5 waves of infernal meteors, which damage enemies within range. The robot can still move while casting this ability, but is moving 33% slower.